Class 2 worked so hard in order to create and lead a wonderful assembly for their parents this week. I would like to say thank you to all of the children for the great effort they went to and to all parents and family members that came to watch the children present their assembly. It meant a lot to the children and myself. It's time to have a wonderful break now Class 2, you really do deserve it! In PE, we have developed our sense of balance and our ball skills, so far. 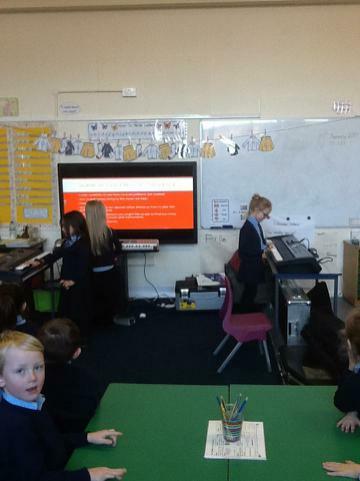 This week, we deepened our knowledge of music even more, in a PE lesson on dancing! We used our balancing skills so well this session and really enjoyed moving our bodies to the music we heard. 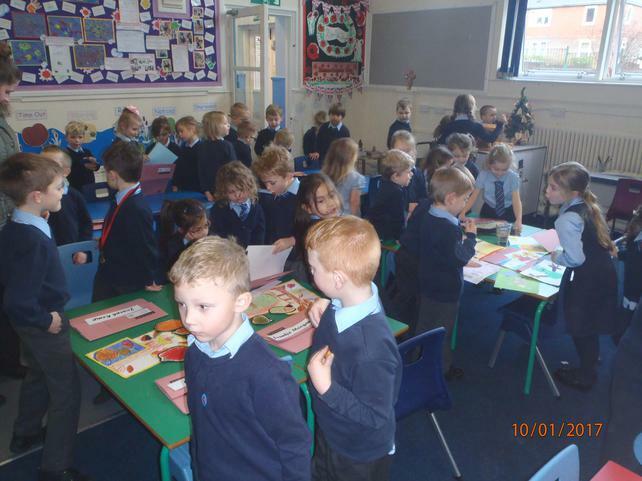 This week, we finished some brilliant learning with a Spanish day. We began our day by researching the country Spain, learning all about the people, food, culture and developing lots of knowledge. We then played some games and completed activities surrounding the topic of colours and numbers. In the afternoon, we learnt about the Spanish artist Picasso. Class 2 used chalk and wax crayons to create our own images of faces in the style of Picasso. There was so much creativity in our classroom, the pictures turned out to be so striking and beautiful! We finished our day by experiencing a variety of Spanish music and dance. 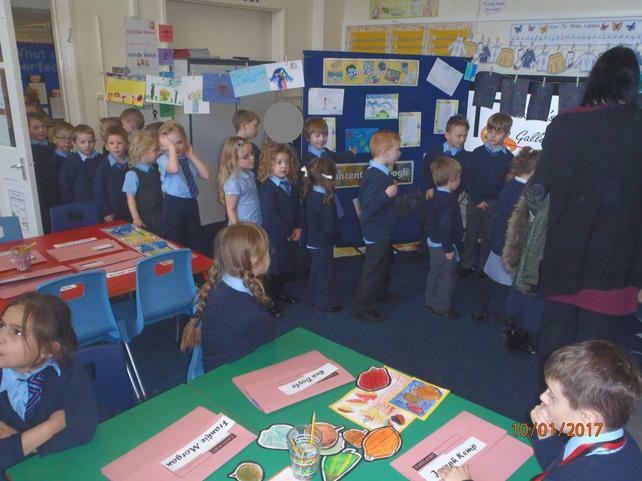 Class 2 managed to keep the beat and join in beautifully, some even dancing in a traditional Spanish way for our class. 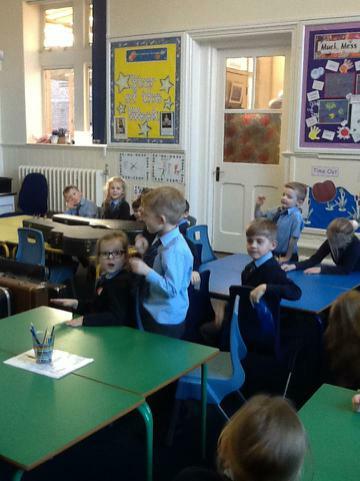 We then had a wonderful Spanish show and tell. This week, we used our voices to make unusual and differently pitched sounds. 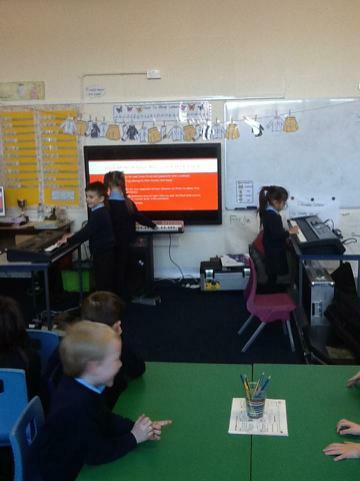 We practised humming, yodelling and chanting, increasing and decreasing the volume, lengthening and shortening notes and pitching them high or low. 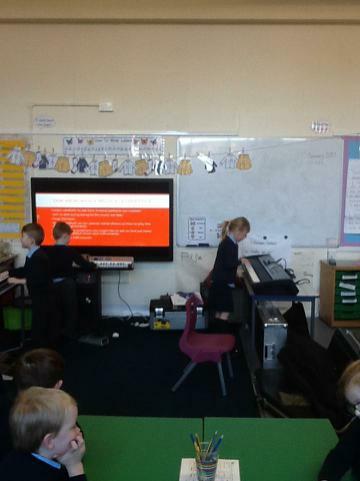 We explored our voices as instruments, trying out effects and practising in pairs and small groups. We watched video footage of performers who use their voices in amazing ways and responded to the music by creating pictures to represent the music we heard. Class 2 created some wonderful work! 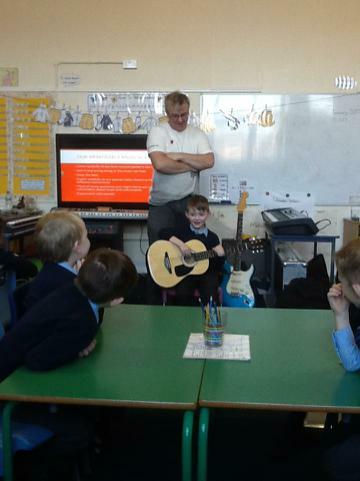 Today, we got the opportunity to have a very memorable musical experience in Class 2 with thanks to our special guest! 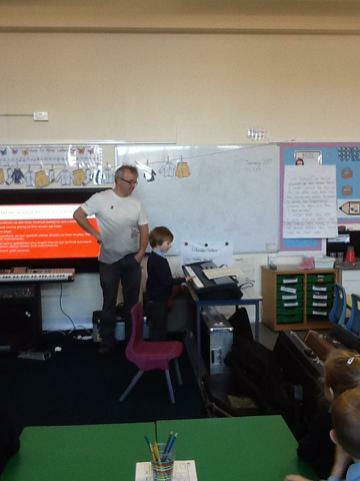 Everyone in our classroom listened carefully to musical patterns created by our special musical visitor. 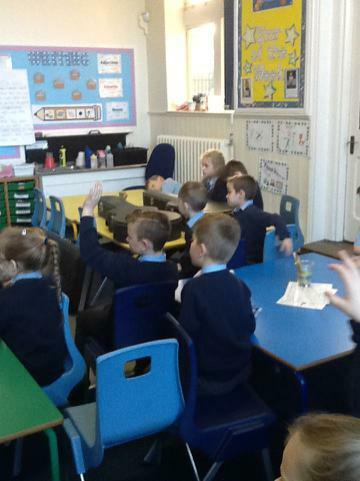 We joined in, swinging and clapping along to the music we heard, making sure we kept the beat. 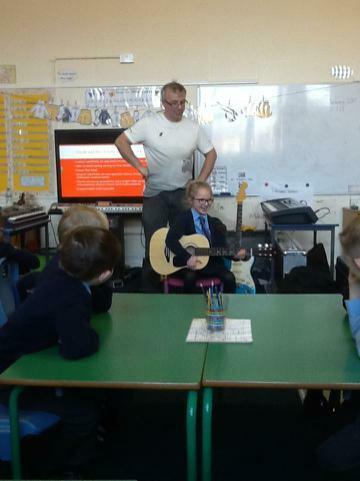 We watched carefully as our visitor showed us how to play the beautiful instruments he kindly brought in for us and thought of some brilliant questions to find out more information about music and instruments. 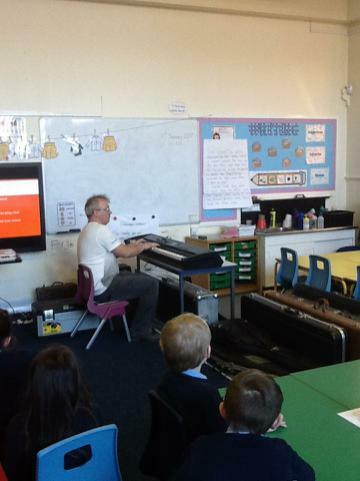 We then finished our lesson with a bang! 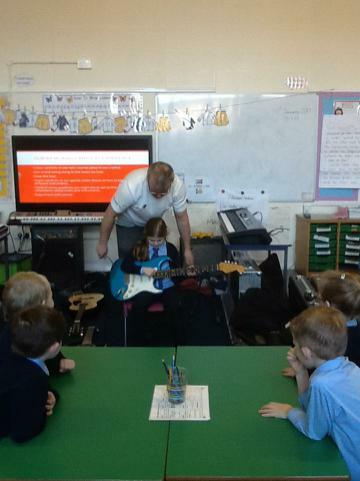 Class 2 experimented with different sounds, experiencing all of the different musical instruments in our classroom. 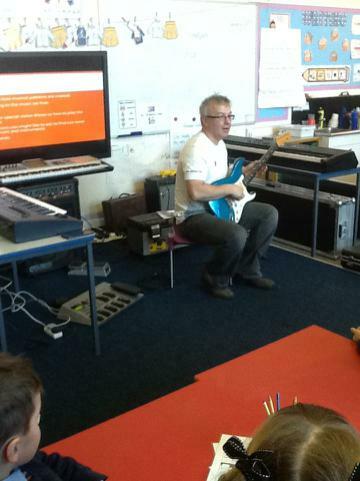 We had so much fun and learnt lots from our musical experience! This week, we started our new topic with a boom, boom parrup, bah-dum TISH! 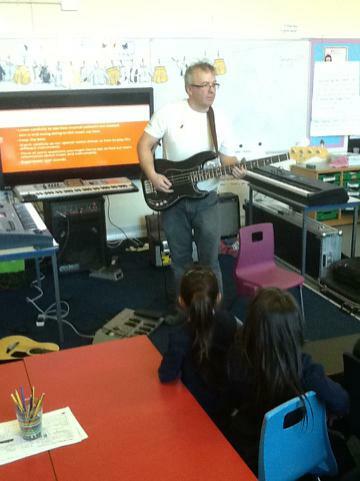 We have experienced contrasting music and have managed to keep the beat and play along on instruments. We started our own Kitchen Beat Band using kitchen utensils and items we would find in our kitchens to explore a variety of sounds. In Geography, we, also, got the outdoor beat by exploring our school surroundings and trying to make different sounds. We then, created maps and identified where the best sounds were. 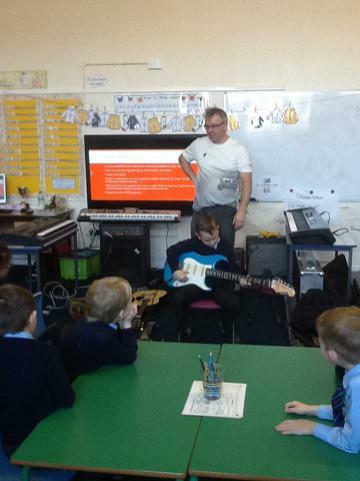 We have had so much fun so far and can't wait to see what will come next in our fantastic new imaginative project, Beat Band Boogie! To conclude our Muck, Mess and Mixtures topic, Class 2 completed an innovation challenge to arrange an art exhibition, both, displaying and discussing their artwork with all of our school community. 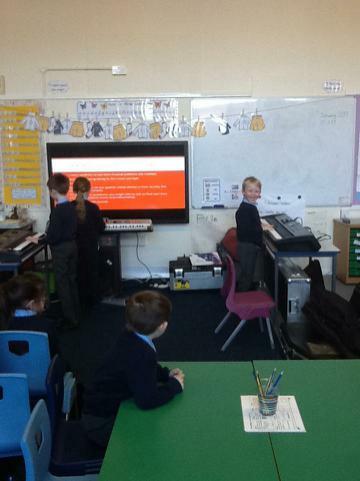 We invited each class at St Helen's into our classroom in which we beautifully displayed our creative work. 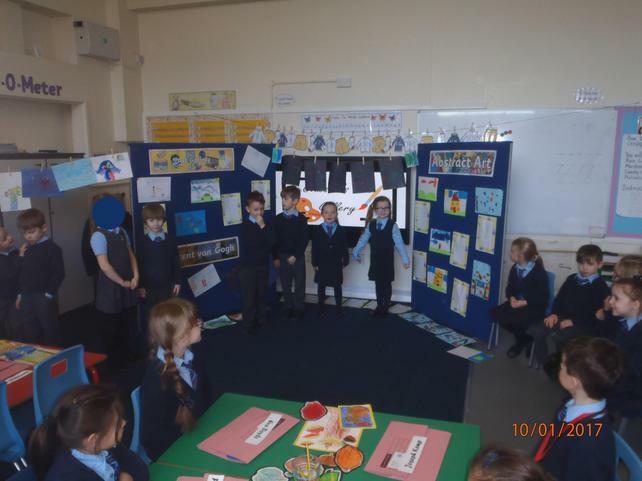 All of the classes in our school attended and the children did a fantastic job guiding the audiences around and explaining just how we created our artwork and what it is we liked the most about it. 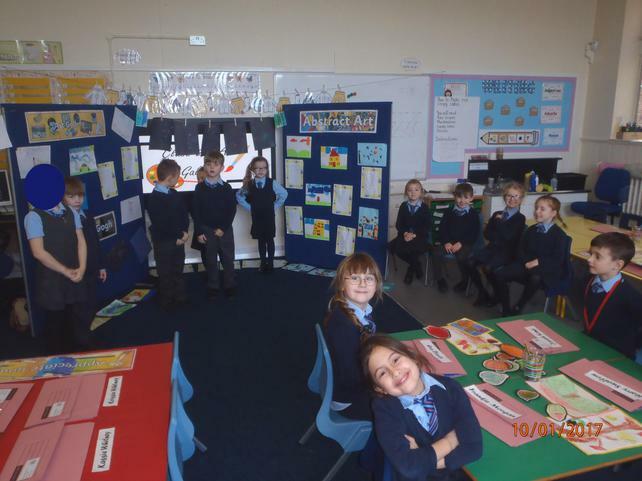 Everyone was so excited in Class 2 and this was apparent from the smiles on everyone's faces, the warm welcome everyone was given and the confidence the children had sharing their work. The excitement continued when family and friends of the children came in at the end of the day and the children managed to share their beautiful work with them. I would just like to say a big thank you to the classes who attended as their responses we so supportive. Also, we all would like to say thank you to the family and friends who attended our art exhibition, the children were thrilled you were able to come. 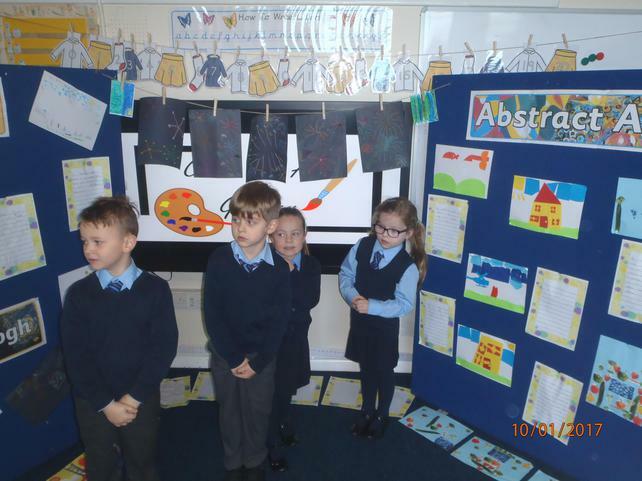 Last but not least, a huge congratulation to all Class 2 for the wonderful job they did creating "A Big Messy Art Exhibition!" On Tuesday 10th January, we would like to show the rest of St Helen's school the artwork we have created in our Muck, Mess and Mixtures topic. We will be showing other children around our artwork in the afternoon, giving tours and being good hosts, explaining what our artwork is and how we have created it. At the end of the day, Class 2 would like to welcome any family or friends picking them up from school to look at their artwork for a short while. If you would like to, please come along! This week, we learnt about pointillism which is a technique in painting where tiny dots of pure colour are applied to a canvas. These patterns of tiny dots build up to create an image. We looked at some beautiful images created in this way and discussed what we could see and how they were created. Then, we went on to use different artistic techniques to create our own pointillism pictures. Our artwork looked wonderful and we had a lovely time creating it.